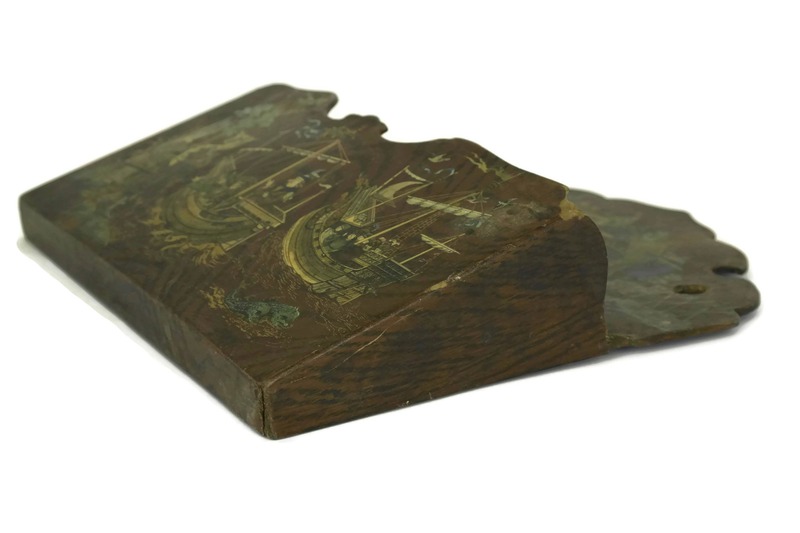 An antique papier mache letter holder dating to the early 1900's. 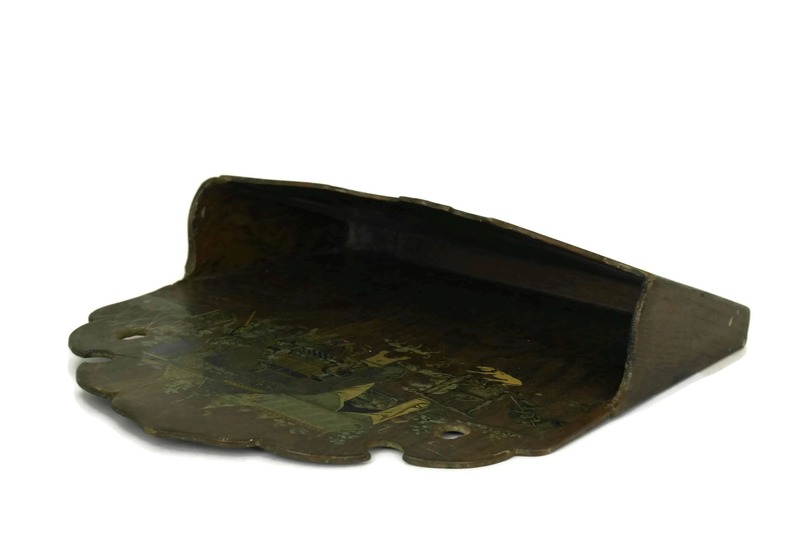 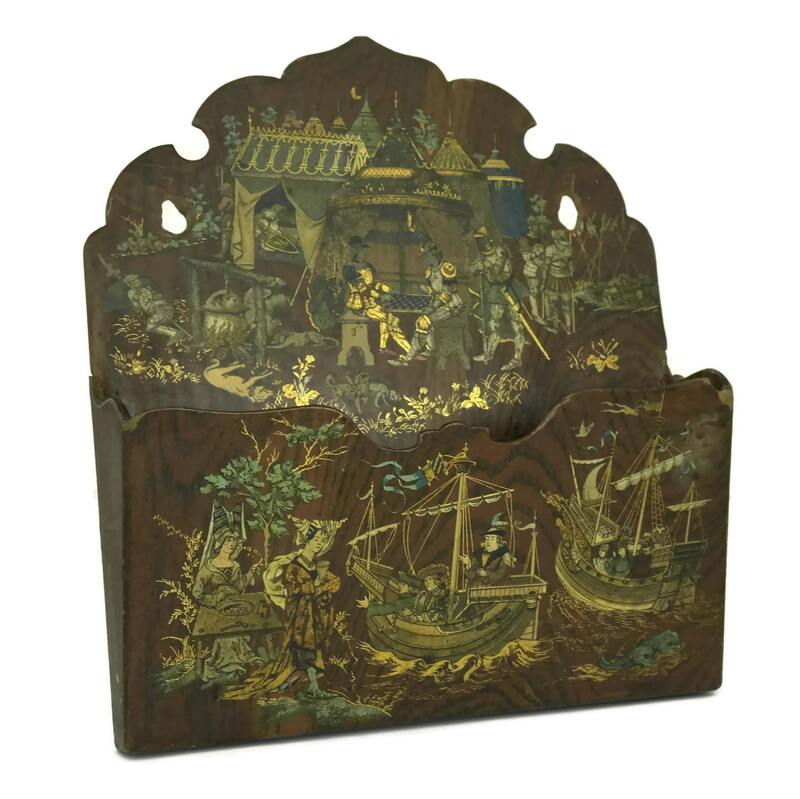 It has been made from French papier mache in a classic design with decorative edges. 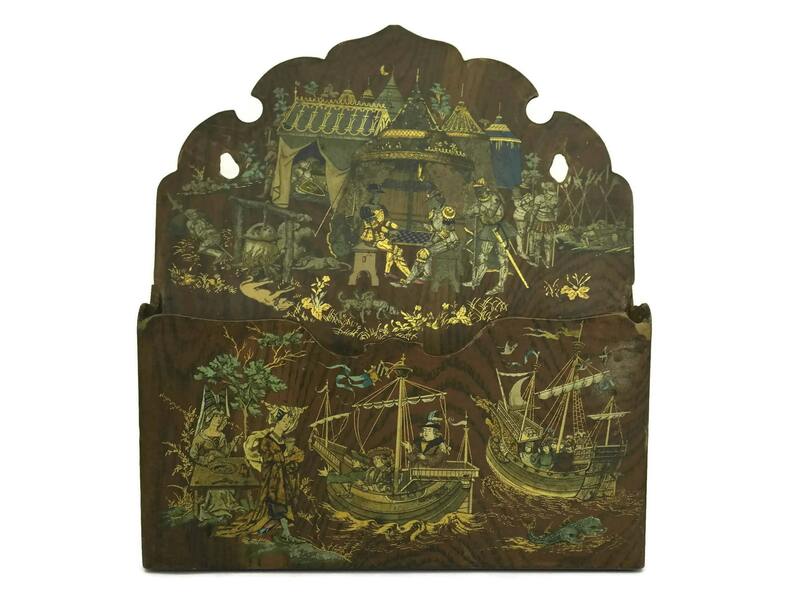 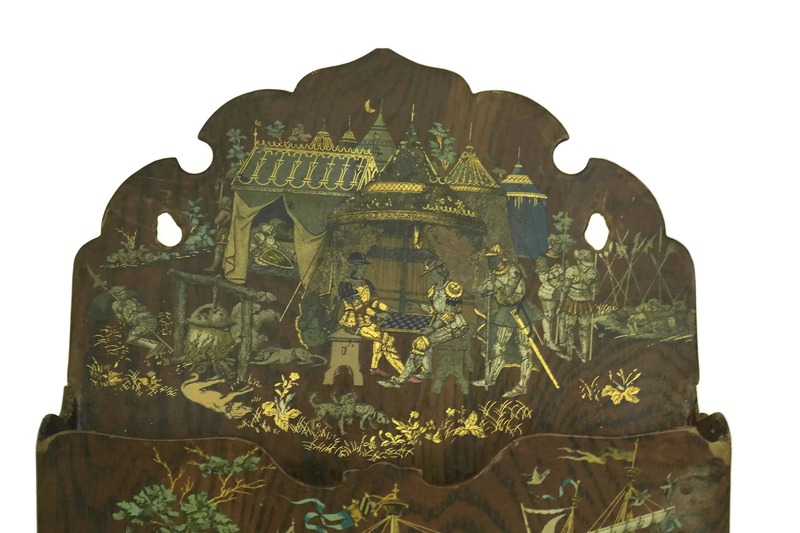 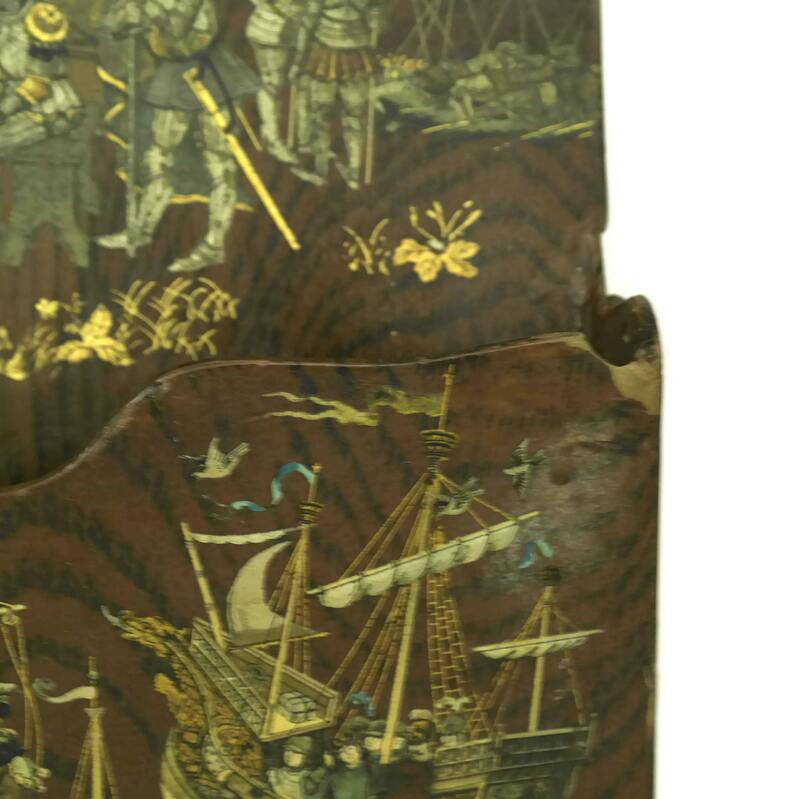 The mail organizer has been decorated with a faux wood covering and a detailed knight and sailing ship illustration. 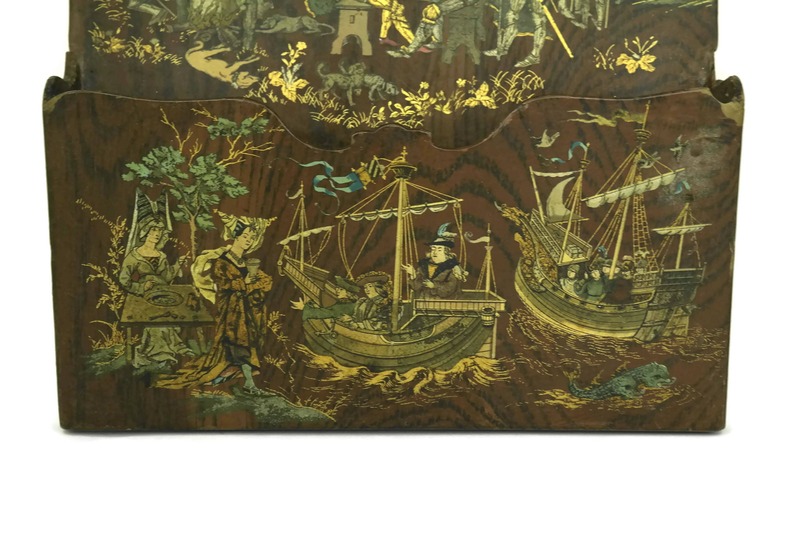 They have small holes on the top corners for it to be displayed on the wall. 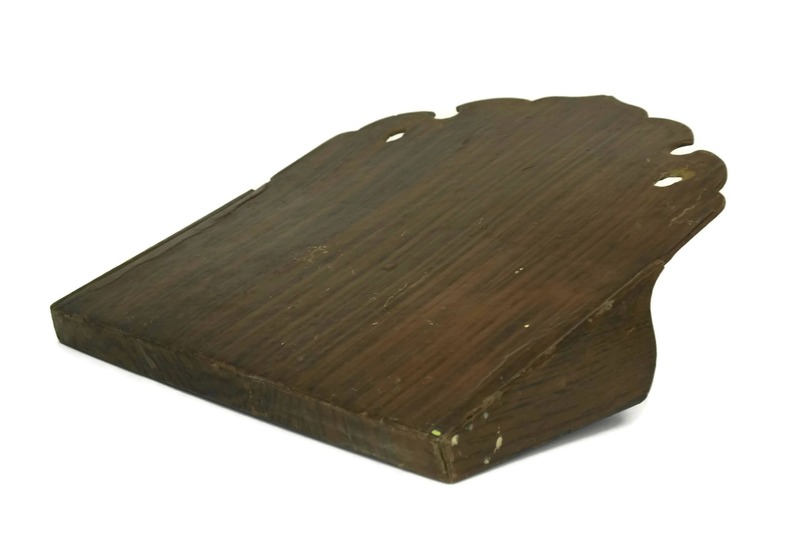 (24 cm x 28 cm). 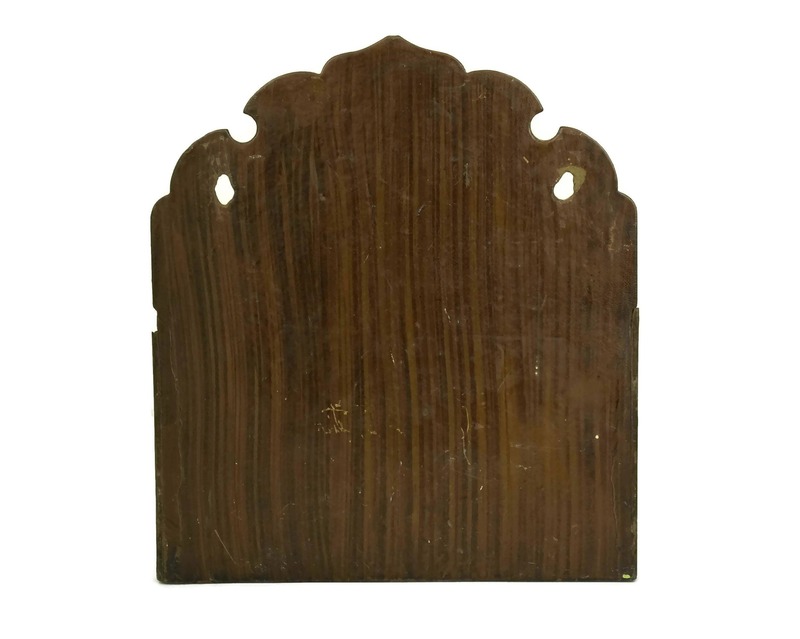 The antique letter holder is in good condition with some signs of age. 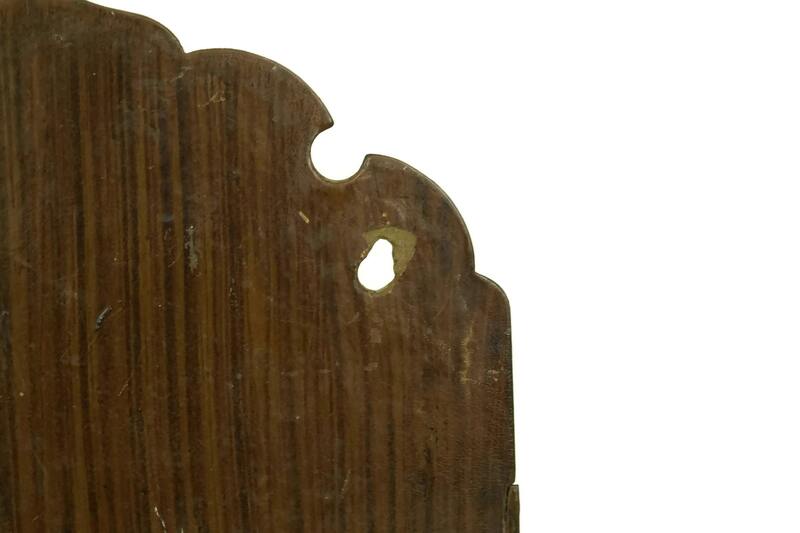 There is light surface wear and a chip to one corner, one side and the back of one of the hanging holes.